When you purchase through iTunes, we don't have the authority or the ability to help you manage your subscription, stop the renewal, or issue a refund. You will need to take action on these items through your iTunes account. For information on viewing, changing or canceling your iTunes subscription, please visit your iTunes Support Page. If you purchased your subscription directly through our website, and would like to stop your future renewal, please visit this article: How can I turn off auto-renewal? 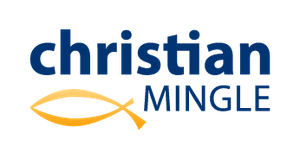 Does Christian Mingle offer a mobile app and is it free? What’s the difference between online and the app?